MSC Oscar, which was the first entry in a series of 20 ships, is going to be joined by sister vessel MSC Oliver in April of this year which is to followed by the other 18 vessels over the course of the months to come, Diego Aponte commented in an interview with CNN, the shipping company reported via a press release. He not only talks proudly when regarding the MSC Oscar as the “most efficient ship in the entire world”, with a capability of carrying 35% more cargo while at the same time managing to reduce CO2 emissions by the same amount, but she is also special due to the fact that she is named after Diego’s son. Diego spoke with great passion regarding all matters related to the MSC fleet, the numerous challenges that come along the volatile container business, the global trade barometer, and the astounding fact that 65% of total global transport is done via the use of containers. If we did not have containerization, globalization would not exist. 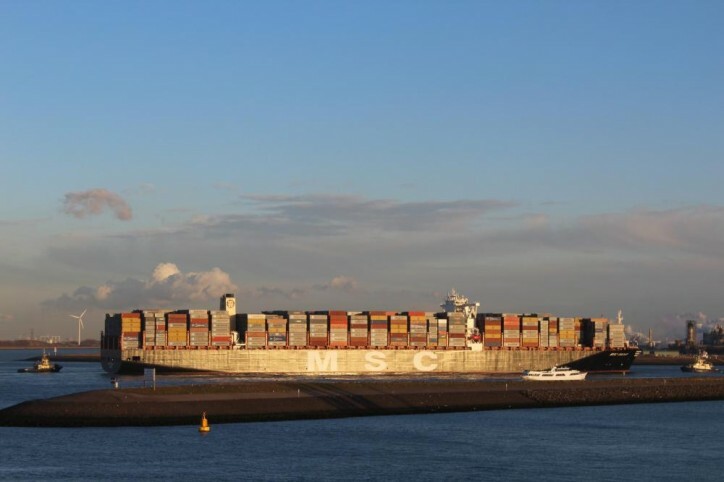 Geneva-headquartered Mediterranean Shipping Company S.A. (MSC) was founded back in 1970 and it is now the second shipping line in the world when regarding container vessel capacity. The company’s fleet, which operates in all major ports of the globe, consists of 471 vessels and has a total capacity of 2,435,000 TEUs (validated data as of December 2014).